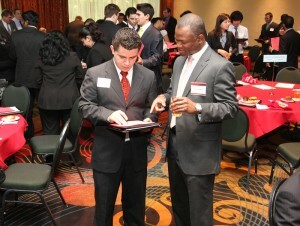 Students will connect with leaders from Halliburton on Friday, April 8, during a seminar and luncheon presented by the company. Students from the University of Houston C. T. Bauer College of Business will have a chance to demonstrate their knowledge of ethics and talk to executives charged with leading a global energy business during the college’s 10th annual Leadership & Ethics Week, which kicks off April 4. 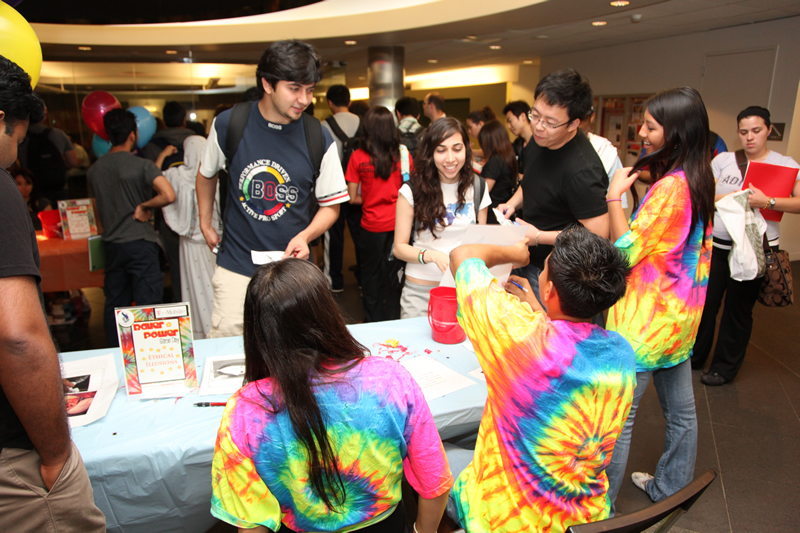 Bauer Power Game Day (Tuesday, April 5; Noon-4 p.m.) – Students will have the opportunity to win prizes for correctly answering questions about potential ethical dilemmas at this event, which will be held in the AIM Center lobby in Melcher Hall. RECONNECT Discover Leadership Training Graduates (Wednesday, April 6; 4-6 p.m.; MH 116) – UH Bauer students who recently completed this leadership training course will meet at this reunion. Ethics Case Competition, presented by Shell (Thursday, April 7; 4-6 p.m.) – Student teams will present their plans of action in the final round of this competition, with the top three teams winning cash prizes. Halliburton Leadership Day Seminar (Friday, April 8; 9-11 a.m.; registration required) – Representatives from Halliburton will meet with students for roundtable discussions about leadership in business. Excellence in Leadership Awards Luncheon, presented by Halliburton (Friday, April 8; Noon-2 p.m.) – This event will recognize outstanding students and student organizations at UH Bauer with the announcement of winners in several categories, including Excellence in Civic Leadership, Spirit of Community and Bauer Pride. Halliburton Senior Vice President and Chief Accounting Officer Evelyn Angelle will deliver the keynote address. Early in the week, Bauer students will have the opportunity to put their knowledge to the test during Bauer Power Game Day. Nominate an individual or an organization for an Excellence in Leadership Award! For a list of categories and a nomination form, click here. For more information about L&E Week, including a detailed schedule and guidelines for the Shell Ethics Case Competition, click here.